I don’t buy Lucky Charms cereal often but when I do my son gobbles up all the marshmallows right away. Like the leprechaun says, they’re magically delicious! With St. Patrick’s Day just a couple of days away (March 17th), you’re running out of time to put together treats for your child to hand out to classmates. 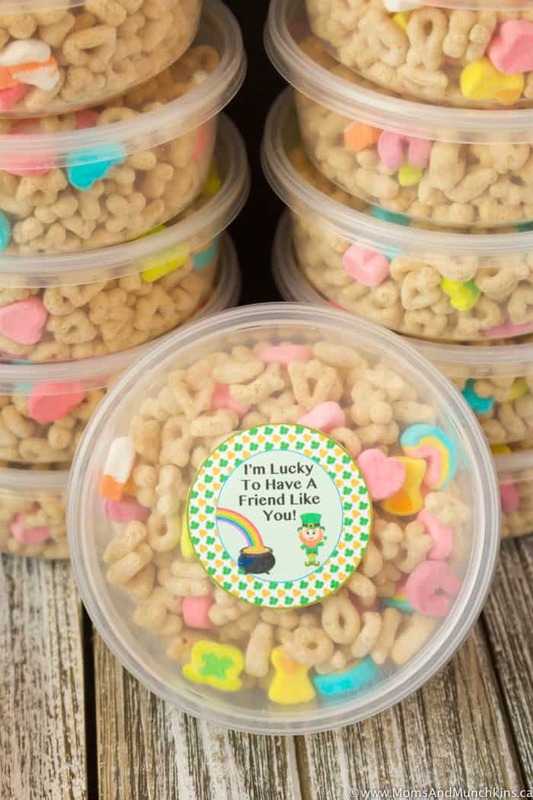 A fun idea is to give each child a little container or bag of this magically delicious cereal with Lucky Charms tags that read “I’m Lucky To Have a Friend Like You”. Yes, we have the free printables for you! 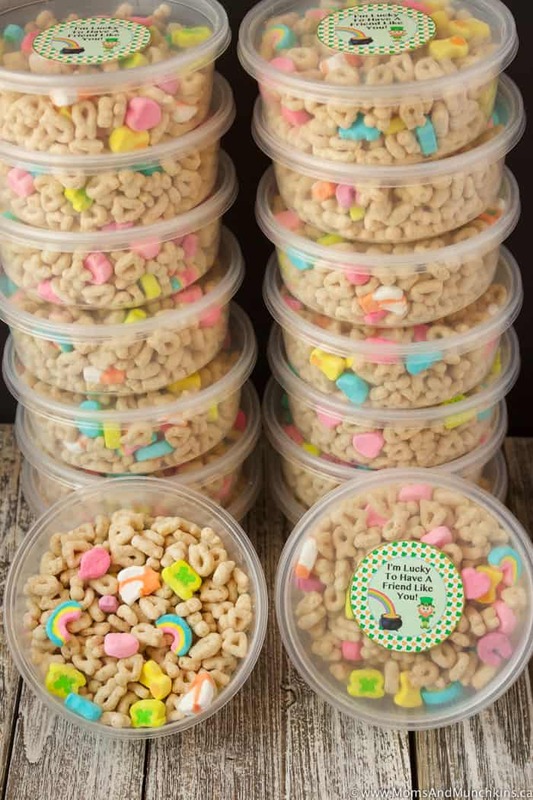 Start by filling each container with Lucky Charms cereal and putting the lids on each. If using treat bags, tie each bag closed with a ribbon. Then print the free printable and cut out each circle. Use double-sided tape to tape the tag on the top of each container. If using bags, punch a hole in the top of each tag and tie it to the ribbon. That’s it! Super easy to make! To make sure no one gets left out at school, I always attach a name to each treat bag plus I send two extras just in case I forgot someone. 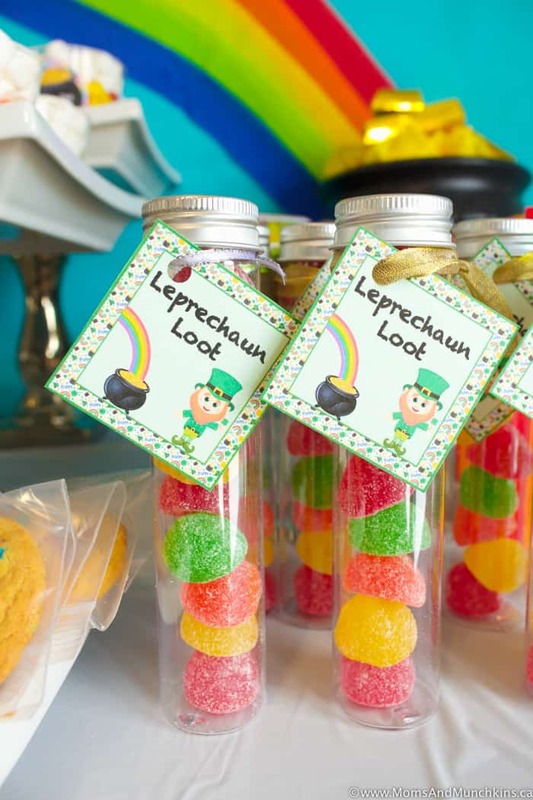 Leprechaun Loot – with a rainbow of gumdrops. 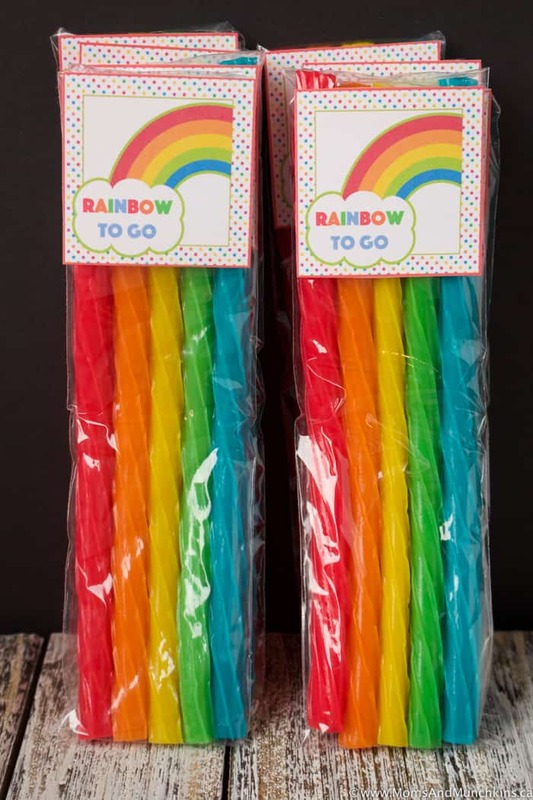 Rainbow To Go – rainbow Twizzlers in a pretzel rod treat bag. 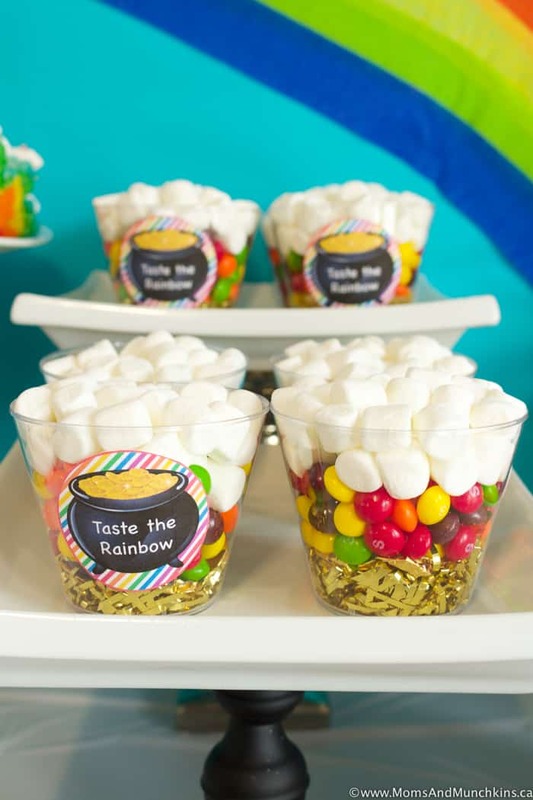 Taste The Rainbow – a treat cup filled with “gold”, Skittles and mini marshmallow clouds. Stay updated on all the latest ideas by following us on Pinterest, Instagram, Twitter and Facebook. Note: Digital images courtesy of Pixel Paper Prints.